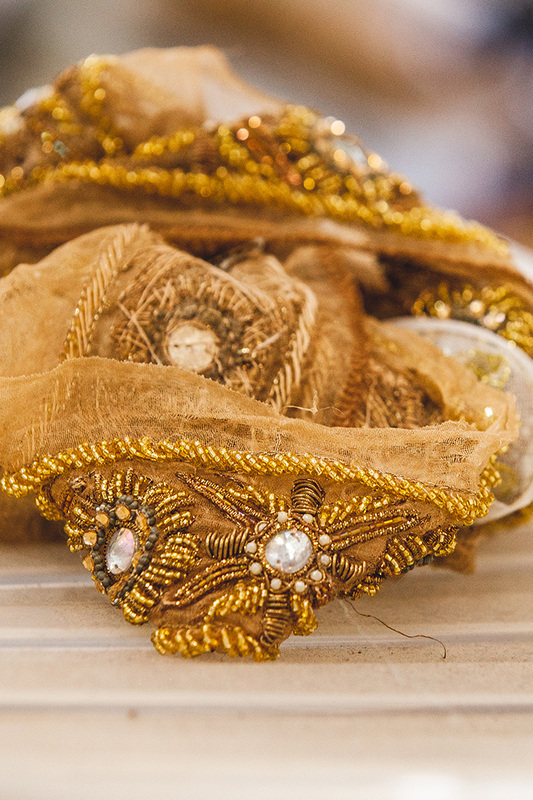 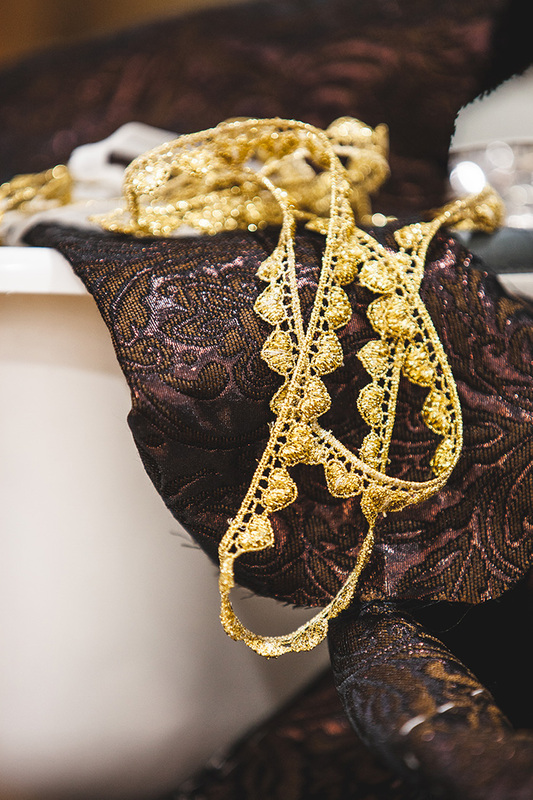 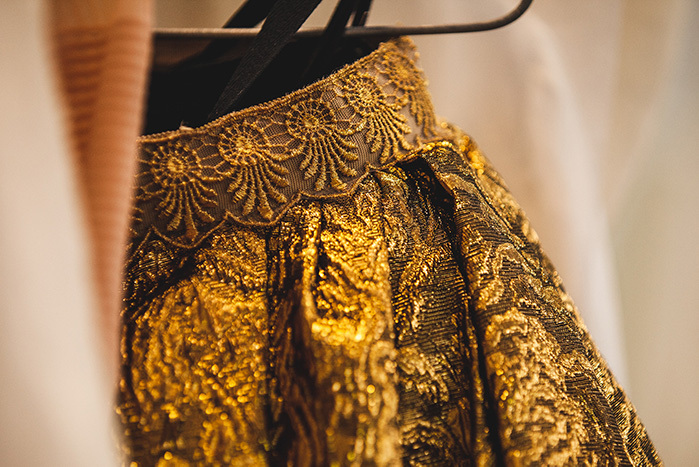 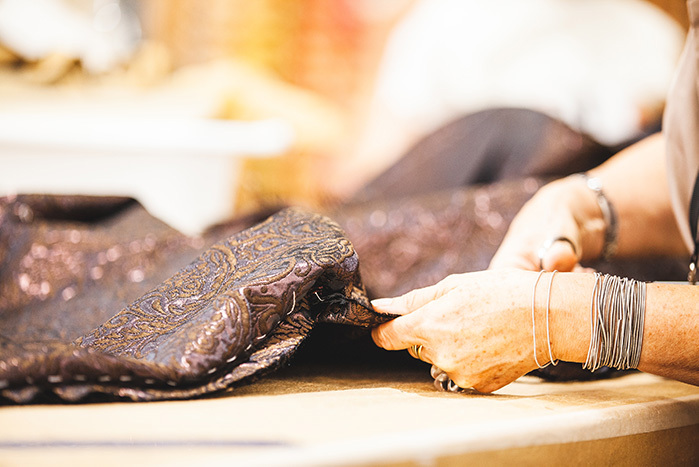 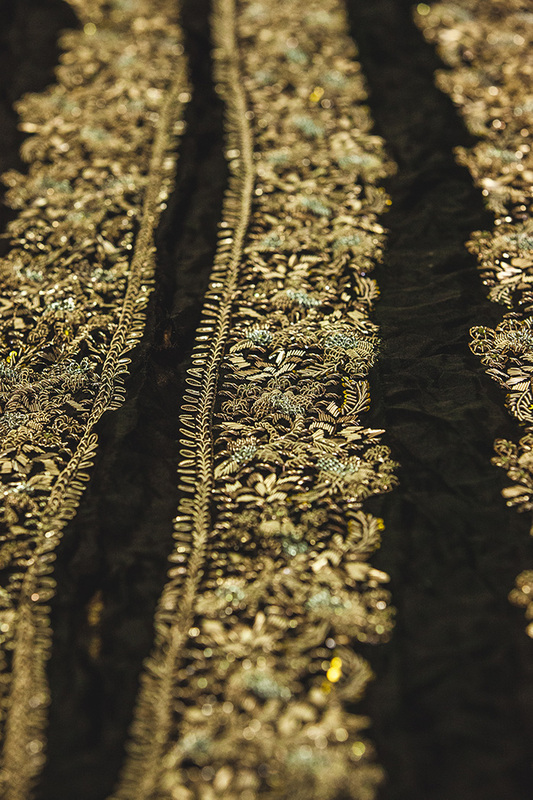 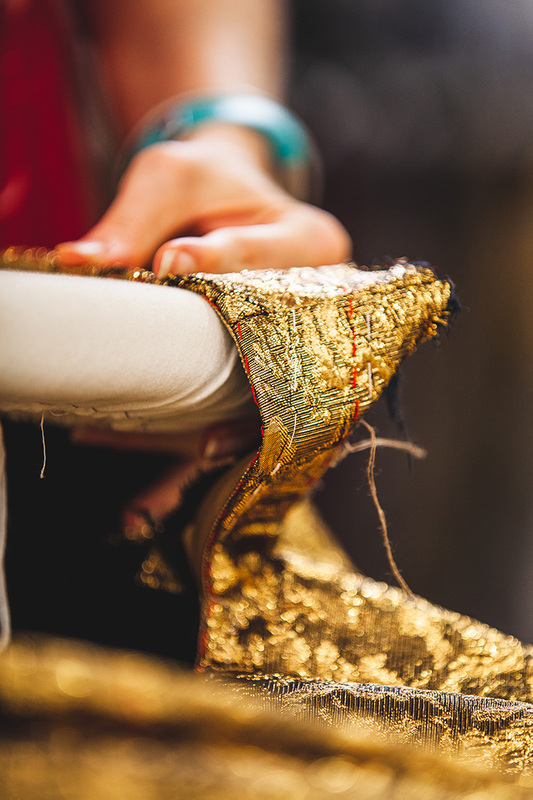 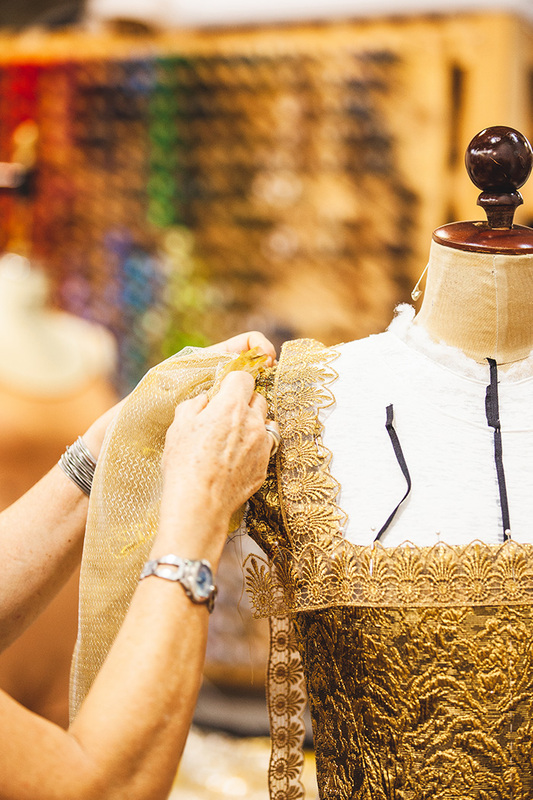 It's all about the detail when it comes to costumes for STC's production of Mary Stuart, with rich and regal Elizabethan style expressed alongside modern tailoring and stage-friendly fabrics. 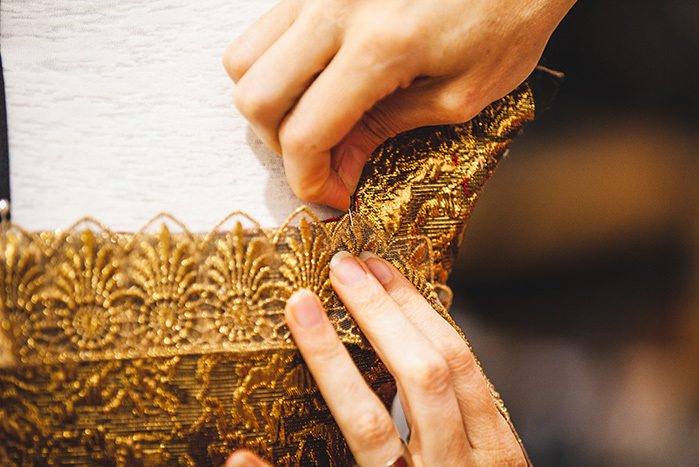 Costume designer Mel Page explains her ideas and textile choice below, accompanying this close-up peak at some of the clothing you can expect to see cross the Mary Stuart stage, with photography by Hon Boey. 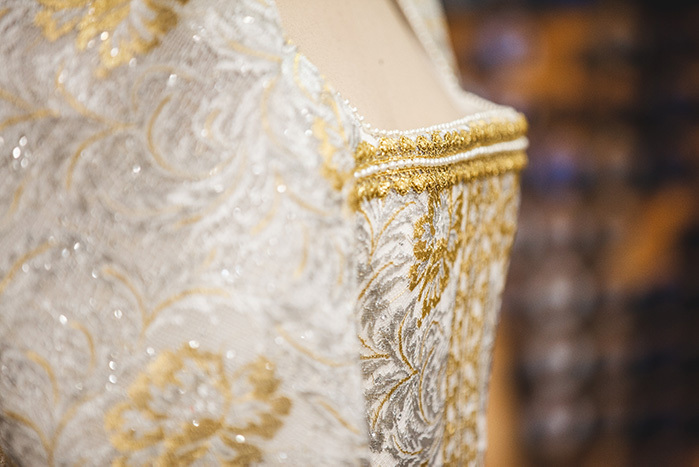 "It has been wonderful working with the amazing wardrobe department to create the costume world for this play. 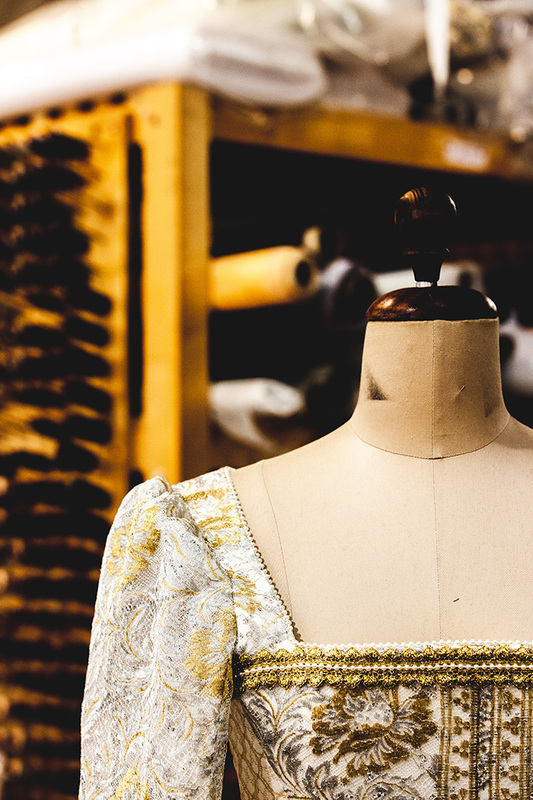 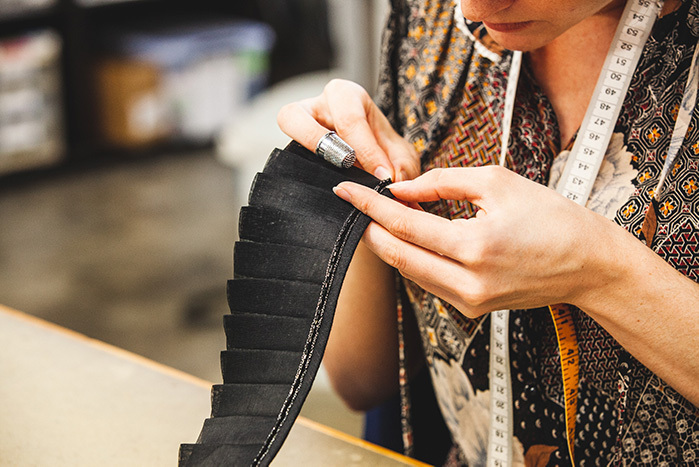 The fabrics in Mary Stuart have a range of jobs to do: they need to represent money, beauty and status. 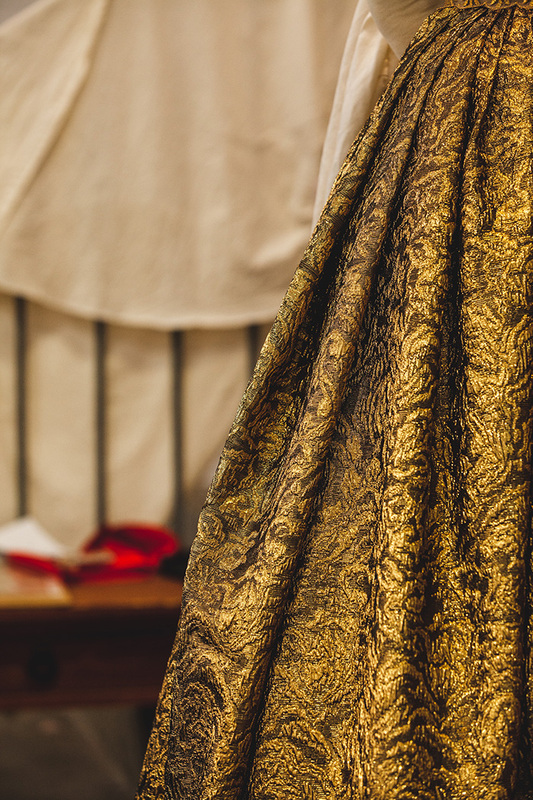 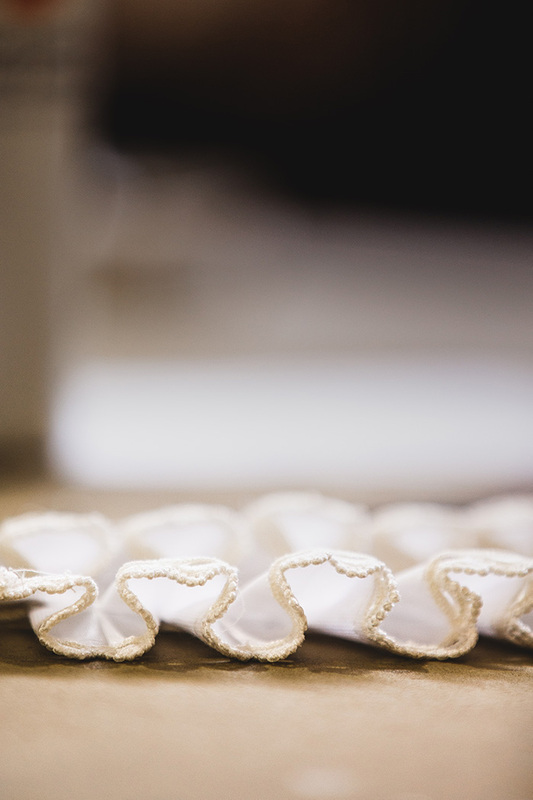 They also need to imitate textiles that would have existed in the late 1500s, whilst still being washable, as many of the fabrics interact with stage blood and dog food every night! 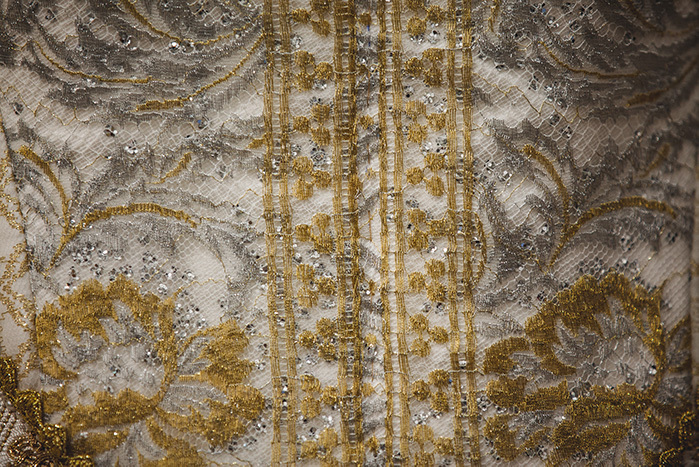 We are using jacquards, silks and linens, georgettes, velvets, cottons and wools. 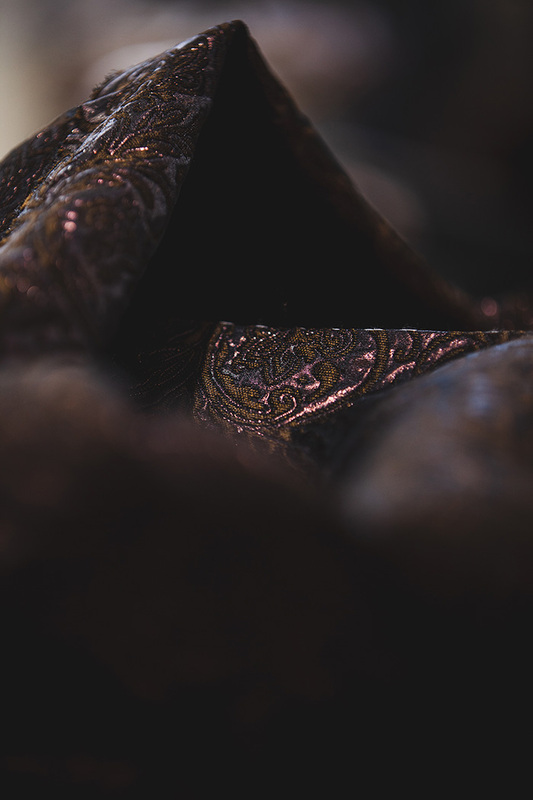 The colour palette is quite simple and stark, as we wanted to create a world that felt spare, supporting without over-crowding the rich drama and emotion of the story and the text." 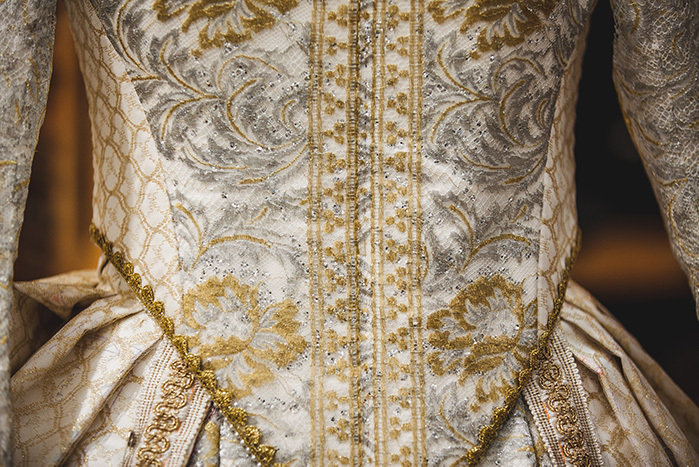 "For Queen Elizabeth we are using a lot of metallic golds and silvers and embellishments to give her great status and wonder, whilst the softer, simpler fabrics are reserved for Mary, whose power has been taken from her after nineteen years under house arrest. 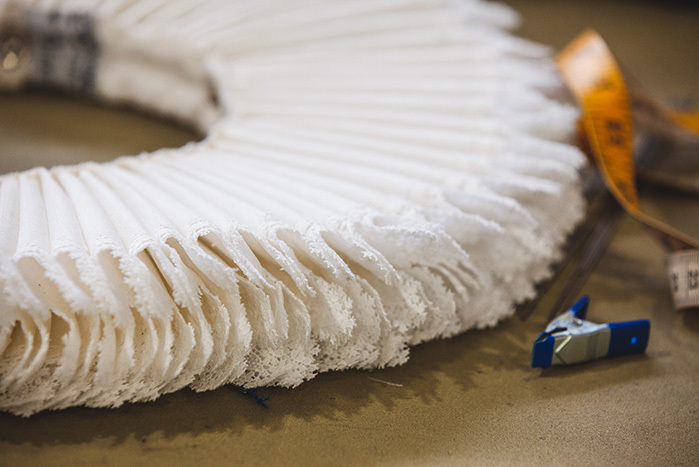 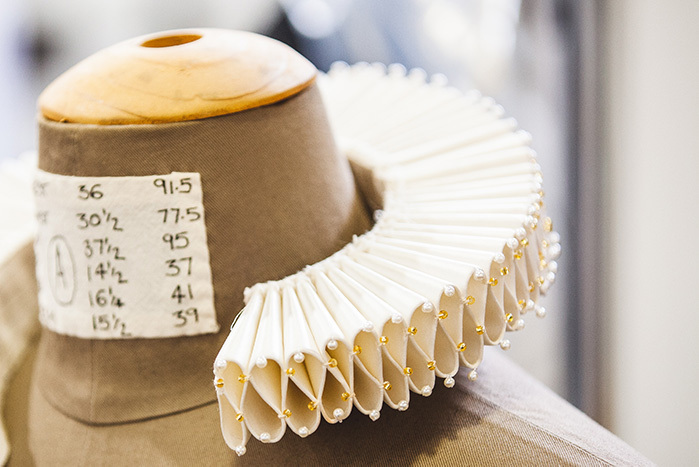 The status of the men in the play is represented by their ruffs: softer lace edges and fuller ruffs for Leicester – the Queen's favourite – and Aubespine the French ambassador, with stiffer, more controlled ruffs for courtiers like Burleigh and Paulet, for example." 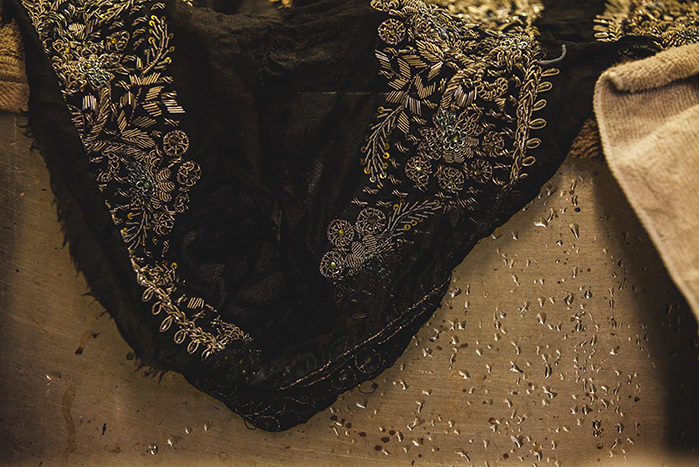 – Costume Designer Mel Page. 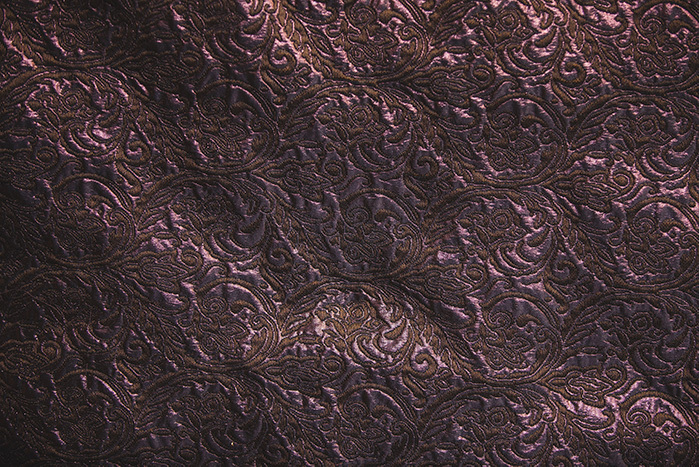 Images by Hon Boey, Dialogic Studios.